This celebration only comes around once, so make it the best it can possibly be with San Antonio Top Limo. Book your Quinceanera with us, and we will make it unforgettable. Make this fiesta de quince años extra special. Let her ride in luxury on the way to any fiesta location of your choice. This is the most important birthday of any girl’s life, so we will be sure to make it the best possible with our limousines and expert driving. Arriving on time and ready to go is our specialty, so expect nothing less than an amazing time out for this extra special birthday. Get your whole family involved in the fiesta. Tell your relatives about the party coming up and call us ahead of time so we can know where to pick everybody up. We have plenty of limousines that can seat as many people as you need. 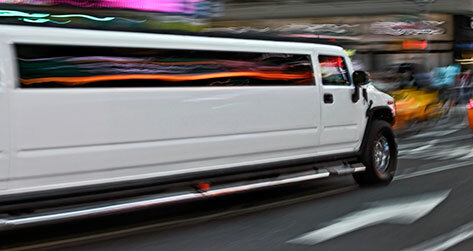 Rent one of our fabulous stretched sedans, SUV limos, or Hummer limos for this party of a lifetime. Your Quinceanera means everything to us and to you, so let us help you make it a day of memorable celebration. Ride in class and style to any locations of your choosing, and we can drop you off right outside. No need for parking spots, we can take you right up to wherever you plant to go. Head out for a fancy meal, or a special fiesta location. We will take you wherever you need to be to make the party the best it can possibly be. Your fifteenth birthday is our top priority, and we aren’t afraid to show it. Get ready to turn heads anywhere you go, and ride in comfort the whole way there. Surround sound speaker systems, flat screen TV’s, and LED lighting will accompany you on this ride of a lifetime. Our professional drivers will make sure your daughter feels like a queen on her way to the party. Luxury is key to this. Our limousines are nothing short of the best, and we are ready to provide you with the best limo experience San Antonio has to offer. Kick back and relax in the back of our hot rides, and get ready to hit the town for a grand celebration that is sure to be remembered. Anywhere you choose to go, we can get you there in elegance. And as always, the party never has to stop after you leave the final destination. Keep the fiesta going with some fantastic music inside the limo, and sit back in the extremely comfortable seats while we drive you back home. You won’t have to worry about parking or any long distance walks at all. Our chauffeur will get you to where you need to be, so that the distance is as short as possible. Our drivers are ready to make your Quinceanera the best it can be. If you’re ready as well, give us a call. We will set up a reservation to make sure this fiesta is remembered forever.